Plano TX Cosmetic dentistry is about turning back the clock and making you look years younger. Is your self-esteem negatively impacted by your smile? Are you sometimes embarrassed by your smile? Do you cover your mouth when you talk so people won’t see your teeth? Have your teeth become yellowed and stained over the years from colas, tea, coffee, or wine? Are your teeth the wrong shape, or extremely crowded? If so, you’re a great candidate for cosmetic dentistry, and Dr. Cassidy can definitely help you! This is done by removing or masking the stains and yellowing and can be accomplished with teeth whitening and/or porcelain veneers. Whether you want to look younger in the mirror, look your best in the dating or business world, or make the best first impression possible, cosmetic teeth whitening or porcelain veneers will work wonders. Many families couldn’t afford significant cosmetic dental care when their children were growing up. You may have lived with a smile that today makes you less confident in social situations, or there’s been something you always wanted to change about your smile. The great news is that, because of advances in cosmetic dentistry, we can help you change just about anything. For many patients, cosmetic dental work changes their smile and transforms their lives, making them more comfortable and confident in everyday situations. 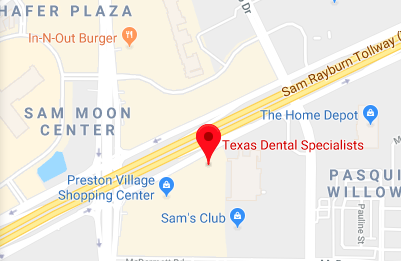 We offer Plano TX cosmetic dentist patients teeth whitening, porcelain veneers, Invisalign, and dental implants or all-porcelain bridges to replace embarrassing missing teeth. Check out our Before & After gallery to see how cosmetic dentistry can transform your smile. Invisalign moves your teeth invisibly with clear plastic aligners. Featured on ABC’s Extreme Makeover. Transform your current smile. Repair and restore damaged teeth and ugly fillings. In-House whitening makes you look younger and more attractive. When you look in the mirror, do you like the appearance of your teeth? Do you like the length of your teeth? Do you have any stained teeth? Would you like your smile look 10 years younger? Do you have any spaces between your teeth? Do you have any teeth with white spots? Do you have any chips or cracks in your teeth? Are you missing any teeth? If so, would you like to have the missing teeth replaced? Do you have any silver fillings you’d eventually like replaced with tooth-colored ones? Do you have any teeth you believe need caps or bonded porcelain inlays? Do you have any caps that have metal showing through, or are unattractive to you? Have you had braces in the past? If yes, were you pleased with the results? If yes, have you continued to wear your retainer, at least at nighttime? Have you ever had or considered any cosmetic surgery? Would you like to see what you would look like with a great smile?